Have a pest problem at home? Call iPest Solutions today to protect your home from termites, rodents, & other pests intent on moving in. Peace of mind is important. Trouble with Termites? Click or call iPest Solutions today to get your problem Under Control! Our trained professionals will identify and eliminate your pest. Call us today for a free inspection. Have a pest problem at work? Our educated team of professionals is ready to rid your business of unwanted pest. Click below or call Waco’s pest experts at iPest Solutions for a FREE pest inspection! SCHEDULE A FREE PEST CONTROL INSPECTION TODAY! By utilizing a balanced use of cultural, biological, and chemical procedures that are environmentally compatible to reduce pest populations to a tolerable level (Integrated Pest Management) we work in conjunction with you to find the most effective way to solve and prevent pest problems. To ensure that we meet your expectations, we provide extensive training for our technicians through founder and Entomologist John R. Fell. We are committed to excellence in service and to you, our customer. Get peace of mind with the iPlan. With over 20 different pests covered iPest will service both the interior and exterior of your home on a Bi-Monthly basis. We begin each service with a comprehensive inspection to determine the perfect plan of attack that fits your specific needs followed by a customized treatment process. iPest will target and treat all harborage areas in and around your home, provide a perimeter barrier, sweep the eves and provide a multi-target granular application. Our service is fully guaranteed, so if the need arises at any point in between scheduled services, we’ll be back to address the issue at no additional cost to you. Termites are continuously foraging up to the length of a football field, protect your biggest investment with the iBundle. A certified Sentricon Specialist will install the latest termite technology around the entirety of your home to ensure long term protection against termites. With the iBundle you package both termite and pest control. With over 20 different pests covered iPest will service the exterior of your home on a Bi-Monthly basis. We begin each service with a comprehensive inspection to determine the perfect plan of attack that fits your specific needs. We follow that with our all-inclusive treatment process. iPest will target and treat all harborage areas in and around your home, provide a perimeter barrier, sweep the eves and provide a multi-target granular application. Our service is fully guaranteed, so if the need arises at any point in between scheduled services, we’ll be back to address the issue at no additional cost to you. Want the most protection inside and out. With the iComplete we have included the iBundle and BiteBack program all in one package. Get termite, pest, ant and mosquito protection year round along with preferred scheduling through our VIP Program. Call before 2pm and get same day service. iPest can keep your home pest free while staying chemical free. The initial service would include both treatment and mechanical alterations, such as sealing plumbing penetrations and weep holes. Once per month we’ll continue to service the home’s exterior through a variety of green products as well as make note and recommend corrections of any conducive conditions that may be present. Bite back! – Take control of your backyard with our signature BiteBack plan. iPest provides a complete remediation mosquito, fleas and ticks in the months of March-November. Through industry-leading research, we’ve developed an effective and efficient plan to help you bite back. iBundle your service & SAVE! Save yourself the hassle of controlling your unwanted houseguests by choosing one of our EXCLUSIVE iBundle service packages. Mix & Match the services that are right for you and proactively protect your home from pests large & small. iPest Solutions strives for 100% satisfaction from every one of our clients. We take the time to let you know how your service with us is guaranteed, offering complete and thorough transparency on every job we perform. We’re local and we take pride in what we do. When you choose iPest, you choose experts you can trust to deliver quality service every time. 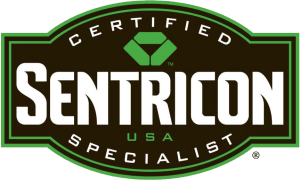 iPest Solutions uses the Sentricon® Always Active System, the #1 termite control system in the country! Use the best, use iPest! iPest services Waco, Bellmead, China Spring, Crawford, Elm Mott, Gatesville, Hewitt, Lacy Lakeview, Lorena, Mart, McGregor, Moody, Oglesby, Robinson, Riesel, Speegleville, Temple, Valley Mills and the surrounding communities. Call on us for the highest quality pest control, bedbug removal, and any other extermination needs.